A quick concise overview of the 300+ pages on this site, letting you get what you need and go. Home Title page, contents and what's new list . Contact A little about myself and how to contact me. Please get in touch with any comments or things of interest for the site. 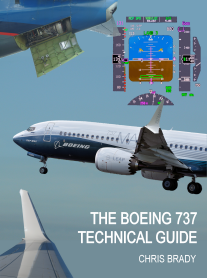 Buy the Book The 737 Technical Site has now been extended and developed into an invaluably informative book. Contains 370 pages, (8.5" x 11"), with over 500 high resolution black & white or colour photos, diagrams & schematics. If you have found this website useful, follow this link to buy the book. The aircraft systems described and photographed in detail, chapter by chapter as per the original Vol 2 Boeing systems manual. Production Details about 737 production methods and component outsourcing. Tech Quiz This section contains over 800 multiple choice questions covering all of the 737 systems. Originals - Maintenance & pilot notes. Classics - Notes, system diagrams & line drawings. 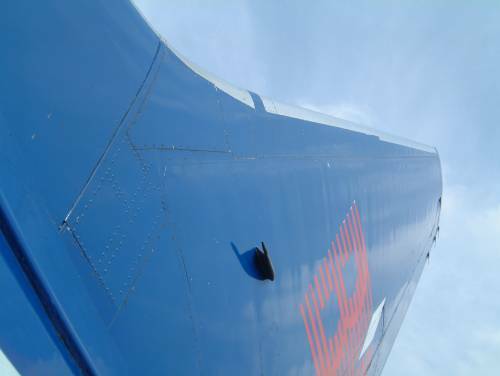 NG's - Maintenance & winglet notes. General - Tech specs compared, type differences, non-series specific info. Tech Photos The 737 photographed inside and out. A compilation of links to major 737 news stories with a downloadable archive. Technical specifications & line drawings of every series of 737 produced. History and development of the 737. Every series and version of the 737 described. A complete listing of every 737 write-off, fatal or otherwise, with accident summaries collected from various sources. Thai 737 Explosion - Articles from the press and official sources following the Thai 737-400 explosion at Bangkok 3 Mar 2001. Flash Airlines Accident - Articles from the press and official sources following the Flash Airlines 737-300 accident at Sharm-el -Sheikh, 3 Jan 2004. This page features minor accidents ie non-write-offs. I have also included some press reports about incidents, not to endorse any media sensationalism where it exists, but rather to show the knowledgeable reader with his knowledge of the aircraft and the industry, how events can be misunderstood or misrepresented. Since the layman knows no better, this is unfortunately the way he will see the event. 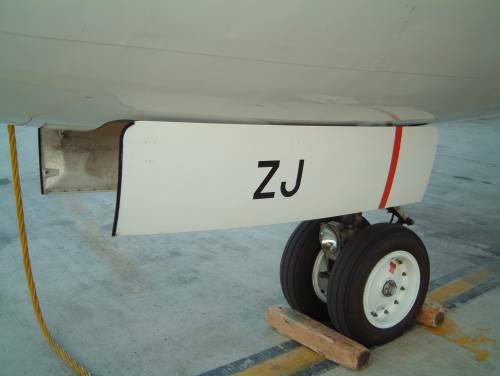 A detailed account of the history of the rudder problems and solutions. A compilation of recent news items concerning 737 orders, deliveries and fleet movements. Stories and articles from John lamming and other 737 pilots including a detailed account about operations into La Paz, Bolivia - elevation 13,000ft. La Paz - Fascinating account of how to operate the 737 to & from an airfield of 13,000ft elevation. A Date with Juliet - An encounter with typhoon Juliet in a Boeing 737. When Engine Instruments Lie - Another hair-raising true story from John Laming. Book & guides - The best 737 study material available. Official - Boeing, NASA, CFM, etc. A list of common abbreviations used throughout the site. Links to various sites of aviation meteorology. From here you can get METAR's, TAF's, Satellites, charts & more. Various photos of mine from the office window. This is where you will find any similar sites relating to other aircraft. Humour A collection of jokes, acronyms and of course the classic tech log entries. TF-BBJ, 737-400SF, Bluebird Cargo, Keflavik 8/2/16.